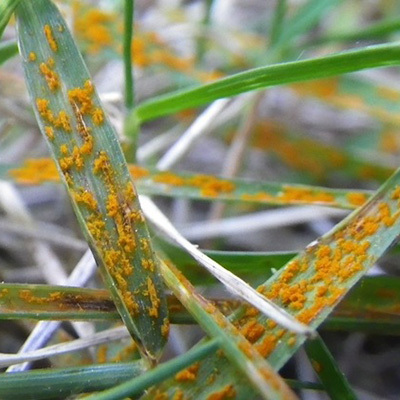 Is This What’s Hurting Your Lawn? 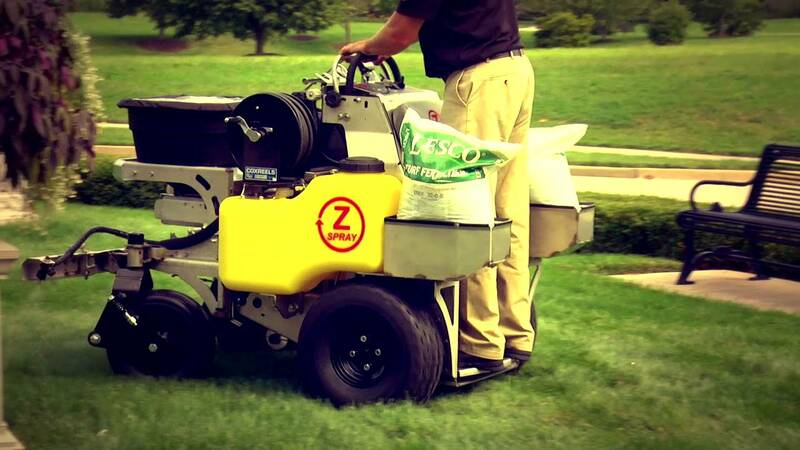 Take a look at these top “lawn killers” to see what may be attacking your lawn! Can't figure out what's wrong? Just give us a call! 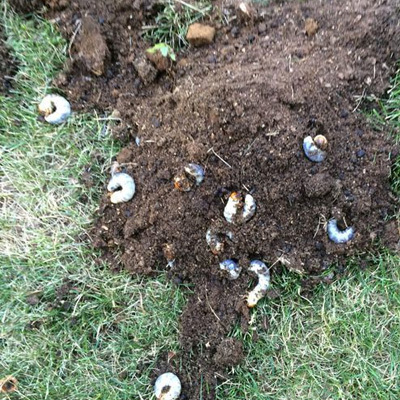 White grubs are one of the most destructive insect pests of turf grasses. Turf is damaged when the grubs (the larval or immature stages of certain beetles) chew off the grass roots just below the soil surface. The root injury reduces the turf's ability to take up water and nutrients and withstand the stress of hot, dry weather conditions. The lawn will be able to be peeled back in severely damaged areas. 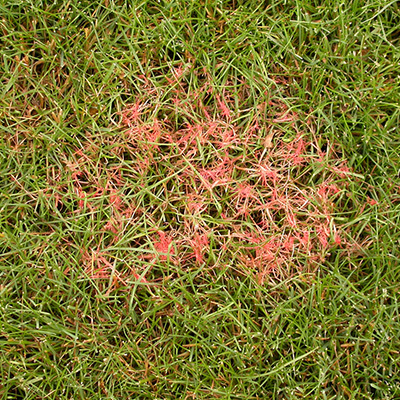 Chinch bug damage is usually first detected when irregular patches of turf begin to turn yellow then brown. The patches continue to expand outward and the turf eventually dies, regardless of irrigation. 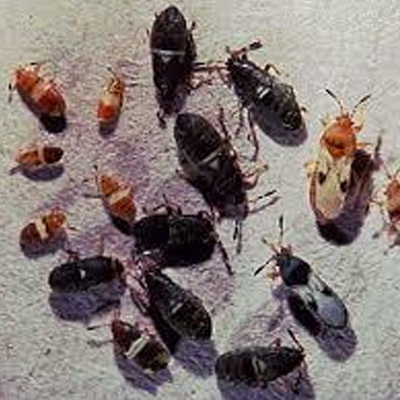 Chinch bug feeding may resemble drought stress, other insect damage or turf diseases. Damage generally occurs during hot, dry weather from June into September. 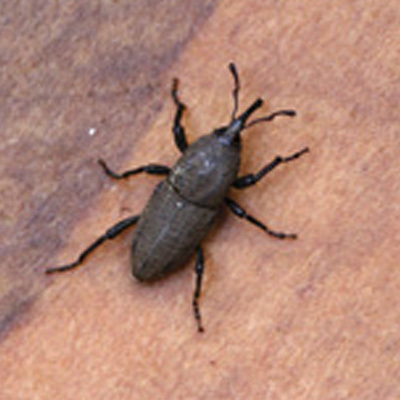 The blued grass billbug is a weevil that occasionally causes extensive damage to lawns in Michigan. These beetles are named because of their long snout or “bill” which ends in a set of small mandibles or jaws. Migrating adult bill bugs may be seen in May or August on sidewalks, driveways or patios. Circular to irregularly-shaped dead paths of turf scattered throughout the lawn in July and August are characteristic of billbug damage. 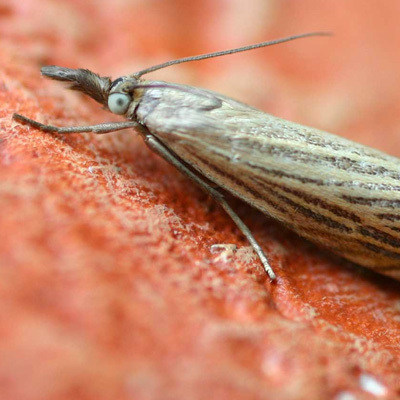 Sod webworms, the caterpillar stage of lawn moths, are a pest of bluegrass lawns in Michigan. 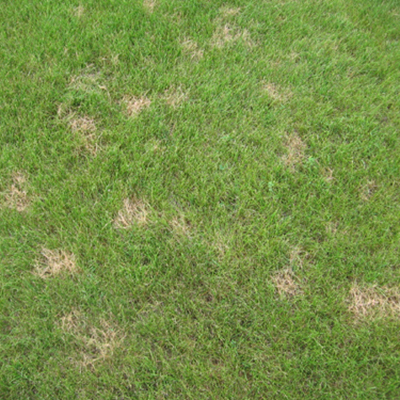 Damage caused by sod webworms first appears as small, brown patches of closely clipped grass. These patches may come together to form large irregular dead areas. 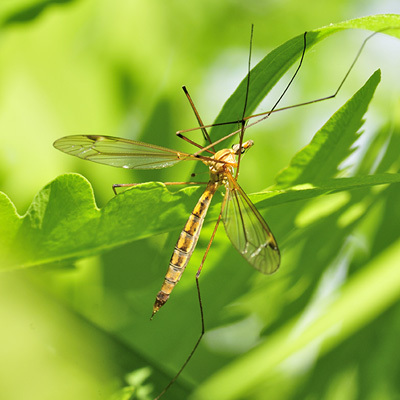 Crane flies have recently become a turf pest in Michigan. The adult stage of these pests looks like a giant mosquito with a wingspan of more than an inch. Adults emerge in August and September. They prefer moist soils, so are most likely to be found in irrigated turf. The adults fly, mate and lay eggs in August and September and can also be seen in the spring. Larvae, called “leatherjackets,” grow to become nearly an inch long and look like a brown caterpillar with no head or legs. In the spring and fall, the leatherjackets consume enough turf roots, stems and leaves to cause visible injury to lawns that will appear as a general thinning of the infested turf, but may progress to large dead patches. Cranberry girdler adults emerge from late June into August. They are similar in shape to other sod webworms. 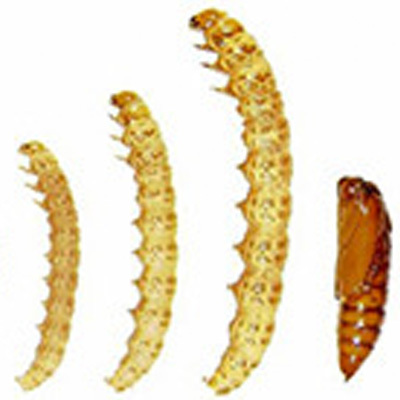 Damage is caused as their larvae tunnel into the grass crowns and feed on grass roots, stems and leaves. Damage appears as small, roundish, brown areas of turf 1 to 3 feet in diameter. Brushing your hand across the turf frequently causes the grass blades to break off, and the turf easily can be pulled back. Hosts: Bentgrass, bluegrass, fine-leaf fescue, perennial ryegrass and Bermuda grass. Fine-leaf fescues and perennial ryegrasses are particularly susceptible. Diagnosis: Red-brown patches of turf 1-4 or more inches in diameter. Pink-red mycelium grows from tips of infected leaf blades. Environment: Cool temperatures of 40-70 degrees and more than 10 hours of leaf wetness per day for several days. Hosts: Bluegrass, bentgrass, fescue, perennial ryegrass, bahiagrass, Bermuda grass, zoysia and buffalograss. Diagnosis: Round to oval chocolate-brown spots on leaves. Spots may have tan centers. Environment: Temperatures of 77-95. Disease severity increases with an increase in temperatures. More than 10 hours of leaf wetness per day for several days. Hosts: All common species of turf grasses. Diagnosis: Straw colored patches of turf 1-3 inches in diameter. White mycelium may be associated with patches when turf is wet. Straw colored lesions extend across leaf blades. Environment: Night temperatures above 50 and day temperatures below 90. More than 10 hours of leaf wetness per day for several days. 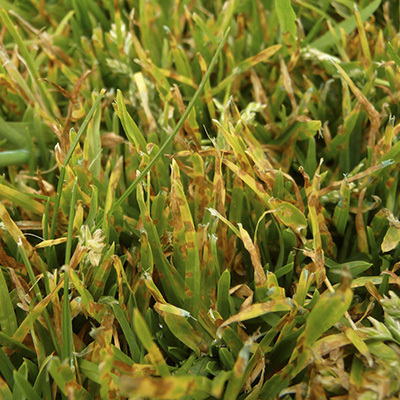 Disease is severe on turf subjected to drought stress. Hosts: All common species of turf grass. Diagnosis: Red-brown powdery masses of spores on leaf blades or leaf sheaths. Environment: Temperatures of 68-86 degrees. Disease is severe on turf subjected to drought stress, low mowing, shade or poor air circulation.